USGBC communities across the country are off to a strong start with Green Apple Day of Service this school year. Here are how some of our local networks have been mobilizing to support greener schools where they are. In partnership with Arkansas Interfaith Power and Light, USGBC volunteers took action on Energy Efficiency Day alongside green team students at Stephens Elementary School in Little Rock, Arkansas. 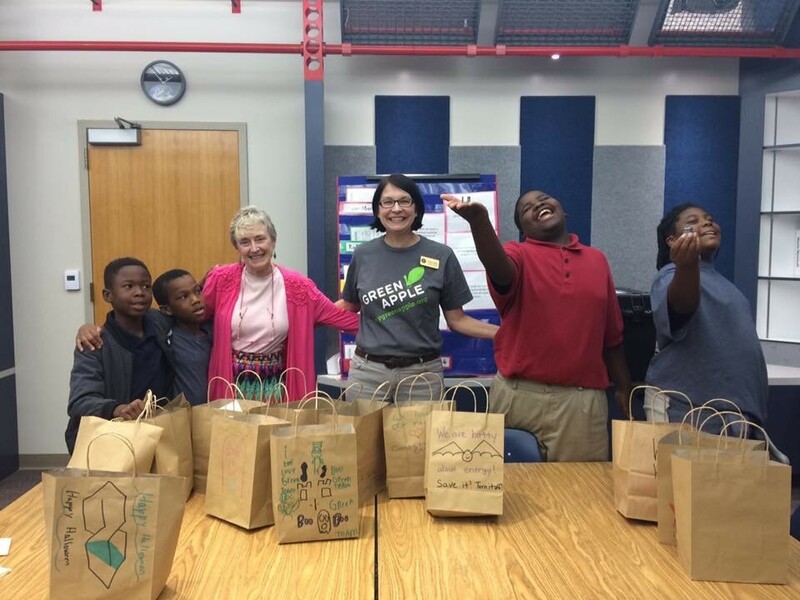 Working together, 15 volunteers and 30 students assembled gift bags with energy-efficient items such as LED bulbs and socket sealers, to help neighbors reduce their energy consumption and lower utility bills. It is estimated that up to 300 students and their families will be impacted as a result of this effort. USGBC volunteers will return for a schoolwide event for Earth Day in the spring. Green Apple Day of Service at Stephens Elementary. At Pharr Elementary in Snellville, Georgia, 14 teachers, parents, students and USGBC volunteers came out to revitalize the school garden and prepare it to serve as a learning space. 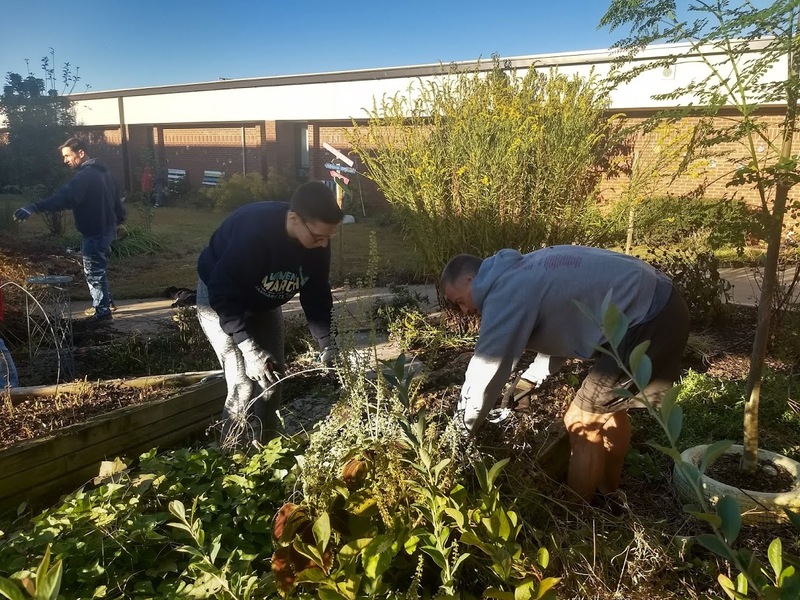 The volunteers cleared vines so that students will be able to pick the garden’s sweet potatoes as part of their lesson on George Washington Carver. They also cleared out the keyhole garden in preparation for winter planting, and cleared out growth under the tables so the students can use the outdoor classroom. All 654 students at the school will have access to the garden this year. The local USGBC community is looking forward to getting out in the dirt again and sharing more resources with the school. Green Apple Day of Service at Pharr Elementary. 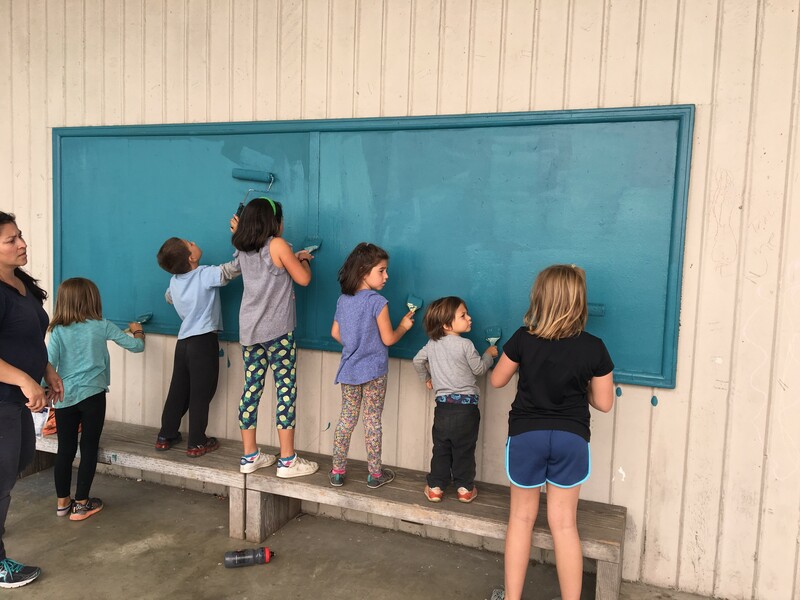 In Berkeley, California, 23 volunteers, including students and USGBC staff, came together for a community work day at Jefferson Elementary School. They painted the cafeteria, exterior walls and backboard with low-VOC paint, cleaned windows with Green Seal-certified products, and disposed of unused furniture. Outdoors, they planted drought-tolerant or pollinator-friendly plants throughout the schoolyard and weeded the vegetable garden. As a result of this effort, 415 students at the school will be positively impacted this year. Jefferson Elementary is focused year-round onmaking strides toward its sustainability goals. Through participation in the Northern California green building mentorship program, they are using the Arc benchmarking platform to engage students on making improvements in reducing waste, enhancing energy efficiency and more. Green Apple Day of Service at Jefferson Elementary. If their creativity inspires you to organize your own project, check out the mini-grants we're offering to assist in your planning. We look forward to seeing what impact we can make together this school year.